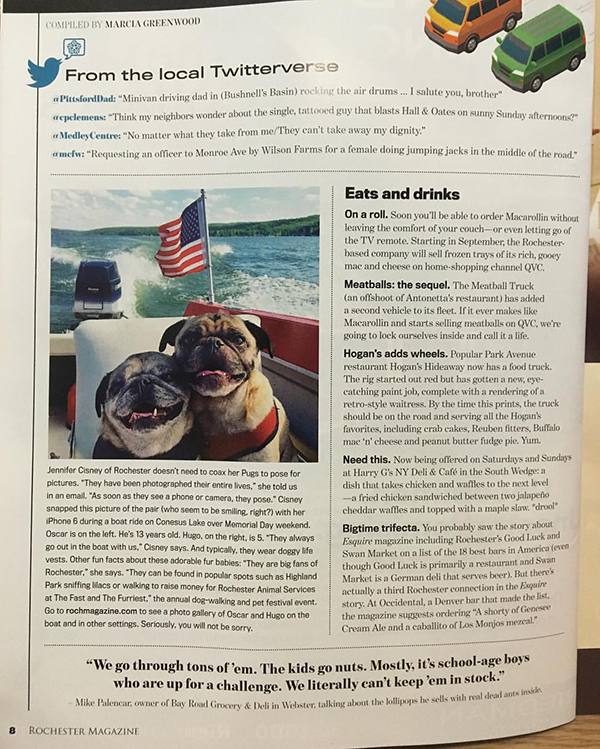 The pugs are famous again. They have a big spread in the July issue of Rochester Magazine! Since you can never really get enough Oscar and Hugo, they even have an online gallery with more pictures! 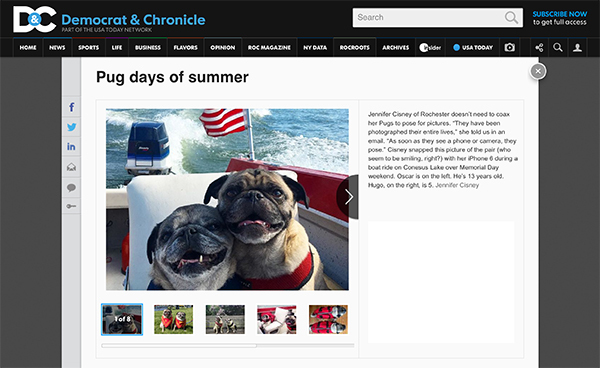 Enjoy this Pug Days of Summer gallery!